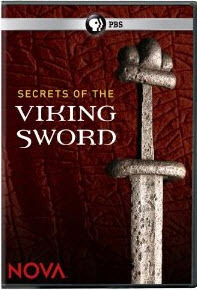 I recently came across the Secrets of the Viking Sword documentary streaming on Netflix. The documentary is very interesting as it details how the famous Ulfberht sword was forged during that period. Unlike any sword of its day, the Ulfberht viking sword was far superior to its counterparts in how it was constructed. The documentary explains why the Ulfberht sword was so much better, and it attempts to demonstrate through a recreation how the forging might have been accomplished given the materials available during that period. Overall, I’d give the documentary 4 out of 5 stars. The documentary is a PBS production. This entry was posted in Books and Movies, Vikings. Bookmark the permalink.